9am-5pm weekdays. Weekend opening hours may be restricted; call 01962 827578 to enquire. Art exhibition by Gail Ward marking the 25th anniversary of the nuclear disaster. With a genuine interest in people, humanitarian issues, the environment and travel, Gail aims to use her photography to 'raise awareness of the lives of others' or to 'tell a story through pictures'. She still likes to use film, but most of her work is digital. www.gailwardphotography.co.uk. This exhibition is being held in conjunction with the 25th anniversary of the Chernobyl disaster on 26th April 2011. In 2006 Gail Ward travelled to Belarus and photographed children living in the SOS Children's Village as part of her documentation of the work of SOS. This organisation was set up to help orphans, disadvantaged families and children affected by the Chernobyl disaster. 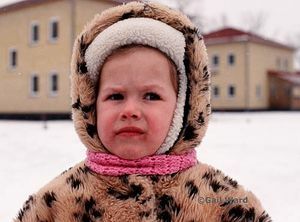 In this exhibition photographs and stories about life in Belarus and some of the children living in the SOS villages are used to show how their lives are developing. The hope is that this exhibition will create interest, discussion and remembrance of the disaster.